This rare 1870s Zulu shield or Isihlangu below sold for £1650 at the C&T (20% buyer’s premium) auction of the Mick Woodfield collection of Zulu and other tribal weapons in Tunbridge Wells on January 9. Rare 1870s Zulu shield sold for £1650 as part of the C&T auction of the Mick Woodfield collection. 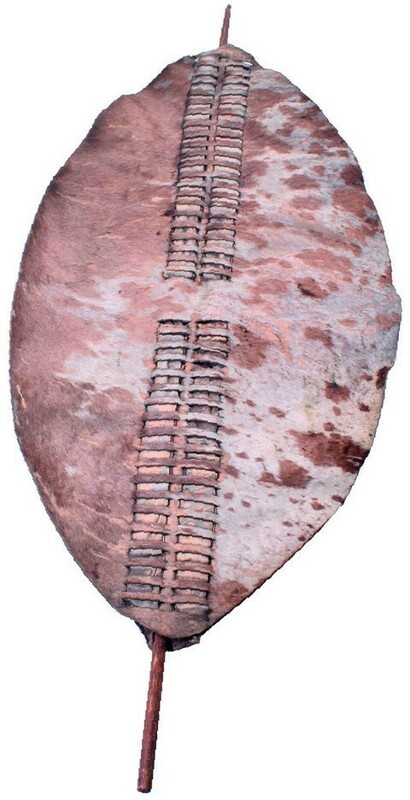 It is a good early example of the large war shield used during the Anglo-Zulu wars, standing 4ft (1.24m) high and complete with its staff. Woodfield began collecting as a boy after being inspired by the film Zulu and the 120-lot catalogue of shields, spears and knobkerries would be a useful reference for any budding collectors today.